The Entreq grounding boxes help to create an additional, local, consistently powerful ground for your audio components. These are the grounding boxes only. You will also need an Eartha copper or silver cable for each component you plan on connecting to the Entreq grounding box. Silver Minimus - The Silver Minimus, like its sibling the Minimus, has only 1 outlet. However it encorporates the same enhancements and mineral mix as the Silver Tellus. Thus offering a signicantly more effective grounding than the standard Minimus. Even a brief exposure to the Silver Minimus will quickly validate its benefit. Silver Tellus - The Silver Tellus has four dedictaed outlets and can handle up to eight devices. In addition to the enhanced design of the Silver Tellus, it also includes 30% more Silver in its specialist mineral mix. All of these advancements have resulted in a significant improvement in the effectiveness of the Silver Tellus to reduce noise in any hifi system to vanishing levels. Olympus Minimus - Olympus Minimus is the new top model of the Mini Groundboxes. It weighs nearly 20 pounds and it has one silver input. The Entreq Olympus are primarily designed for grounding preamps and DACs. The most significant difference in performance comparing Silver Minimus is more sonic textures, air and low frequencies. 6 inputs for grounding plus a separate input for grounding a wall AC receptacle. The Olympus Tellus has the same sonic signature as the Olympus, with deep and massive low frequency power and impact, while maintaining the delicate tonality microdynamics and air in the high frequencies. Poseidon - The Poseidon can be best described as three totally independent Olympus Minimus in one neat enclosure. With its three pure solid Silver binding posts the Poseidon offers a tremendous level of performance & an almost limitless set of options. One option in particular is the ability to now Ground each channel of your amplifier, via the negative speaker terminals, while simultaneously & independently being able to Ground your Pre-amp or Dac at the same time. This option alone offers an unrivalled level of performance yet to be attained in any other single Entreq Ground box. This is just one option, please let your imagination and your dealer take you further. 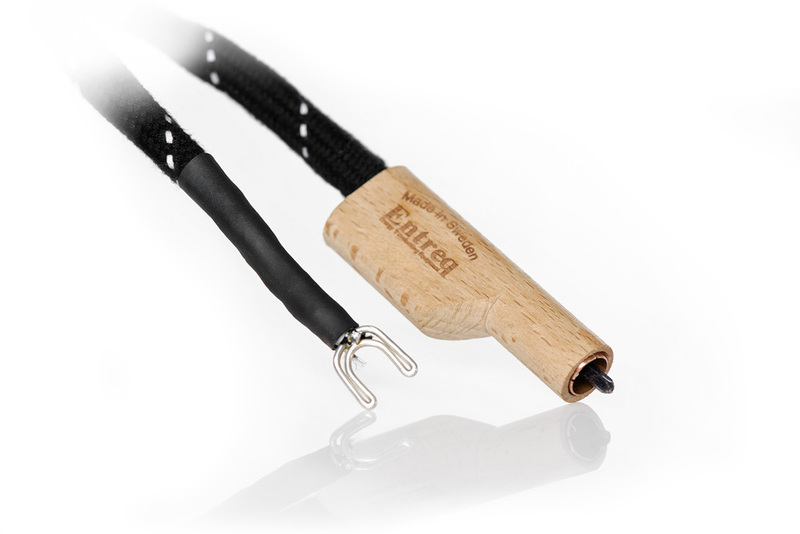 Entreq has created an extensive range of dedicated Eartha cables. The properties of these cables have been painstakingly designed and constructed over many years,to offer a perfect match to their ground box's.They are constructed and maintain, very exacting parameters, while enabling specific & incrimental matching to each and every system they are employed within. With this in mind you will also find a wide range of connectors which allow you to attach & employ our grounding solution's in almost any conceivable scenario. Read more about your choice of Eartha cables. You will be surprised with the result! Click the button below to add the Entreq Ground Boxes to your wish list.